The red spruce is coming back to the Northeastern United States. Alexandra Kosiba, researcher in the Rubenstein School of Environment and Natual Resources at the University of Vermont, explores why these trees have made a rebound after years of decline. 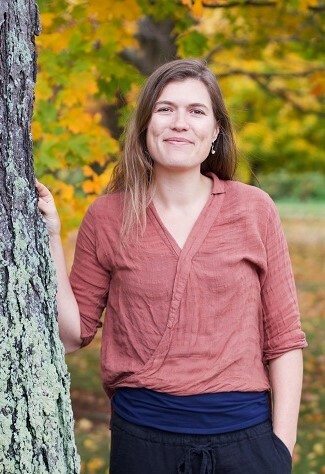 Alexandra Kosiba is a forest ecologist and dendrochronologist who specializes in understanding tree response to environmental change. She has worked with the Forest Ecosystem Monitoring Cooperative over the years, first as a graduate student studying tree growth in the FEMCs long-term study site at Mt. Mansfield and as a part-time staff member to author the annual reports. She currently coordinates FEMC projects across the region. For most of the 20th century, acid rain was a serious environmental threat, and it effected no tree more severely than red spruce. Scientists intensively studied red spruce, ultimately testifying to Congress about this issue. As a result, the Clean Air Act and subsequent amendments were enacted to reduce sulfur and nitrogen pollution that are precursors to acid rain. Now, decades later and following continued monitoring, we are seeing evidence of a recovery for red spruce trees across the Northeast. Using dendrochronology (the study of tree rings), my co-authors and I examined growth from 658 trees spanning five states. We found that more than 75% of red spruce trees and 90% of plots exhibited growth recovery following decades of declines due to acid rain. We assessed the relationship between red spruce growth and factors that may influence growth such as tree and plot characteristics, and climate and environmental variables. Our results showed that during peak acid deposition, red spruce growth was low. While this relationship continued to persist even after regulations were enacted, by the early to mid 2000s we saw a recovery in red spruce growth. These results suggest that environmental regulations can have the positive impacts for which they are intended – although recovery can be slow. Our work also indicated that red spruce are responding positively to recent changes in the climate, specifically longer growing seasons and warmer winters. While this may be favorable for red spruce, it is not beneficial for all tree species, and it is likely that these positive benefits will not persist for long. We don’t yet understand how much change red spruce, and other trees in the Northeast, will be able to tolerate in a warmer future.